You know Spencer, she's a total stress case. A garbanzo bean in the wrong salad bin is enough to make her wig out. 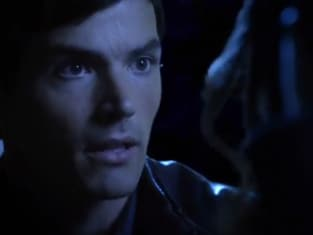 Pretty Little Liars Season 4 Episode 20: "Free Fall"
Emily: Did you have an accident? Hanna: Well, are you going to? What is up with those shower shoes? Permalink: Well, are you going to? What is up with those shower shoes? Pretty Little Liars Round Table: "Free Fall"